What they told you: Escaping religious prosecution, the pilgrims left England on sailboats and landed on Plymouth Rock, barely surviving their first winter. With the graceful help of a nearby Indian tribe, who taught the settlers how to fish and hunt the land, the early colonists succeeded in establishing a foothold in the vast North American wilderness. 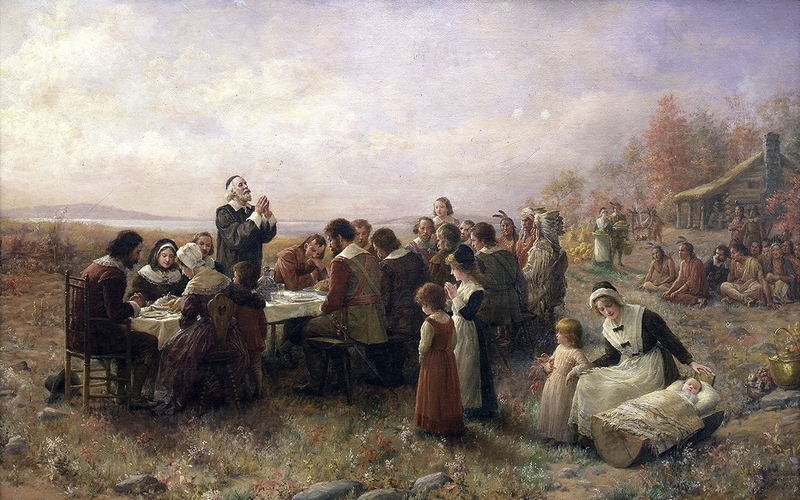 Thus, the pilgrims held their first ever Thanksgiving feast in 1621, and served the Indians some turkey and gravy as a token of their eternal gratitude. The Truth: Well, it turns out things did not go as peacefully as we were told. In fact, historians are still a little iffy on what actually took place. Most people agree that the two sides did sit down to have dinner in 1621, but it was not a Disney cross-cultural fairytale movie-scene. Experts argue that the Indians and pilgrims were brought together out of a mutual need, and not because they were BFFs. The two groups were nothing more than weary allies against nearby tribes – as in, the enemy of my enemy is my friend. The European colonists actually looked down upon the Indians, who they regarded as savage and uncivilized wild beasts. Many experts believe that the first thanksgiving actually took place in what is now Mystic Connecticut, where the Pequot tribe was peacefully having a feast. After the feast was over, in the midnight hours, a group of settlers (not the initial pilgrims) snuck their way into the village and burned, shot, and killed over 700 Native Americans. What they told you: Christopher Columbus was the only person during his time who believed the Earth was round, while everyone else believed it to be flat. He made it his mission in life to prove the world was round. 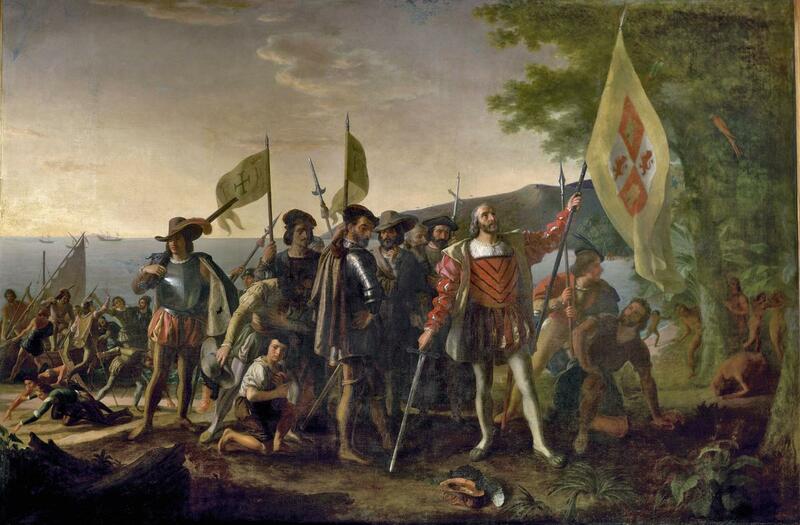 The Truth: Columbus was about 2000 years late in his discovery. The ancient Greeks had already proved that the earth was round. During the 6th century B.C., a mathematician by the name of Pythagoras started tweaking with the idea of a round world. Then in the 4th century B.C., Aristotle actually provided the world with physical evidence, such as the shadow Earth caused on the moon and its curvature. By the time the 3rd century B.C. came around, Eratosthenes determined the earth’s shape and actual circumference by using a bit of basic geometry. Additionally, in the 2nd century B.C., Ptolemy wrote a text called the “Almagest,” which very clearly explained planetary shapes and their motion. The book was widely known throughout Europe during Columbus’ time. 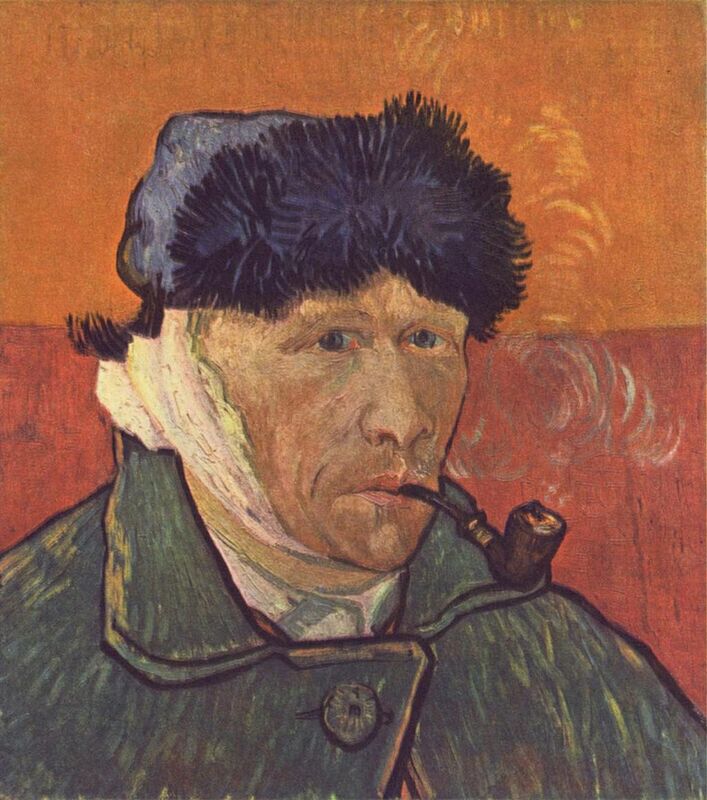 What they told you: Van Gogh, a tortured and deeply artistic soul, slit his left ear lobe with a sharp razor blade. The incident happened during a lunatic fit in Christmas of 1888. As blood poured down his face and neck, he wrapped the wound in a dirty rag, and then made his way to a bordello where he gave the severed ear to a prostitute, who fainted when she saw it. The artist then went to sleep, drenched his bed in blood, and nearly bled to death. The prostitute alerted the authorities, who took Van Gogh to the hospital. When he woke up, he immediately asked to see his friend Gauguin, with whom he had argued with the night before. The Truth: A new book written by German historians tells a completely different story. It turns out that Vincent Van Gogh and his friend Gauguin actually made the whole thing up. You see, Gauguin was actually a pretty darn good fencer, and Van Gogh was a drunk who often offended his friends. One night Gauguin had enough of Van Gogh’s bad talk, and chopped his ear off during an intense argument. 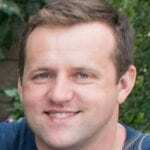 Researchers believe that the story never surfaced because the two friends decided to keep a pact of silence. What they Told you: The 13 stripes on the American flag represent the first 13 colonies that rebelled against British rule. The Truth: There were only 12 colonies that fought against British rule in 1775. Delaware was never its own colony, but rather part of the Pennsylvania colony. 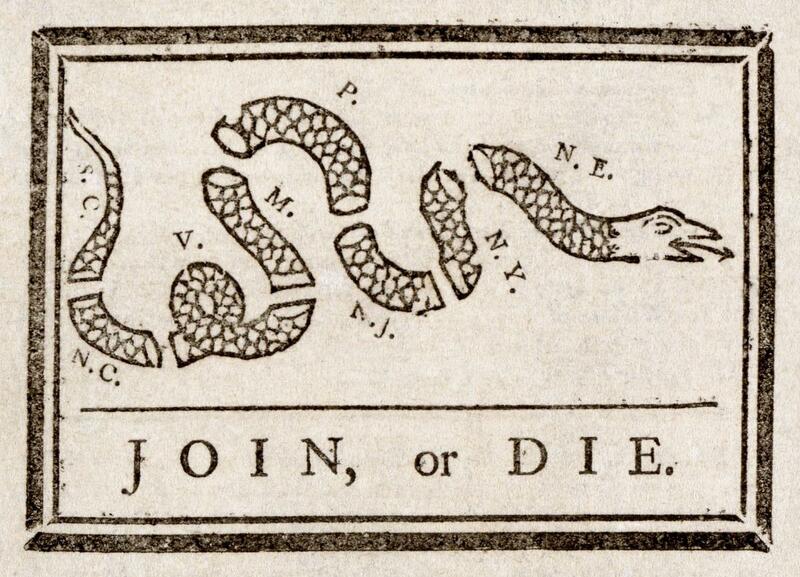 It declared itself an independent state the year after, in 1776. What they told you: Little George Washington liked to play around with his hatchet, as most kids in those times did. One day, he snuck into a garden and chopped down a whole cherry tree. 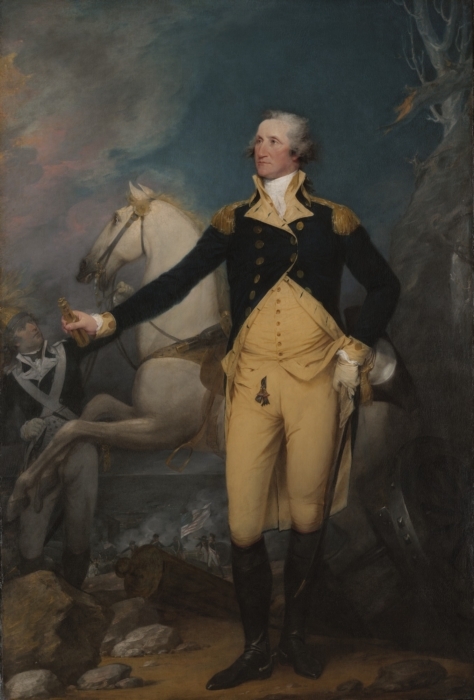 When his father found out, he was pretty mad, and asked George about it. Because George was incapable of lying, he confessed the crime to his father. The Truth: The ironic truth is that this story is completely false. Mason Locke made the whole thing up when he wrote a book about the life of President Washington.